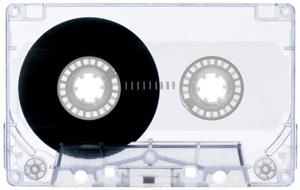 Muxtape beat me to the New Amazon S3 POST Support + MP3 land rush, but here's mine anyway. It's currently constrained by pokey hotel internet, and will be filling up over the coming hours. Update: I don't think they're actually using S3 POST at all, which means they're probably slamming their server for no good reason. Update #2: A few example muxtapes from people I know: tma (Tomas), mattb (Matt), plasticbaguk (Tom), blackbeltjones (another more different Matt), girlwonder (Molly). Update #3: Fastest spreading intermeme pretty much ever, I bet muxtape.com wishes they had used S3 POST: bopuc (Boris), neb (Ben), listentomy (Aaron), compulse (Shawn). Update #4: "memetape": revdancatt (Dan), straup (Aaron).